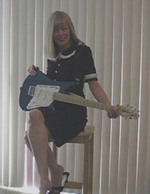 Sign up for Broadjam today to follow Vikki Lee, and be notified when they upload new stuff or update their news! 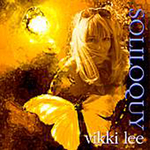 Ms. Sticky Vikki Lee has once again delivered a crackling collection of songs on her new CD, "Lucky Seven." 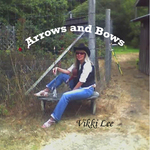 Along with four of Vikki's own compositions are included duets with Rockabilly Hall Of Famer, Glen Glenn, on three of his classic tunes, "One Cup Of Coffee," "Everybody's Movin'," and "Would Ya." 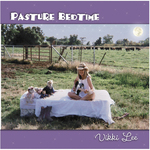 For added spice, the legendary guitarist extraordinare, Albert Lee, adds some very tasty guitar tracks to this latest effort from "The New Queen Of Rockabilly."